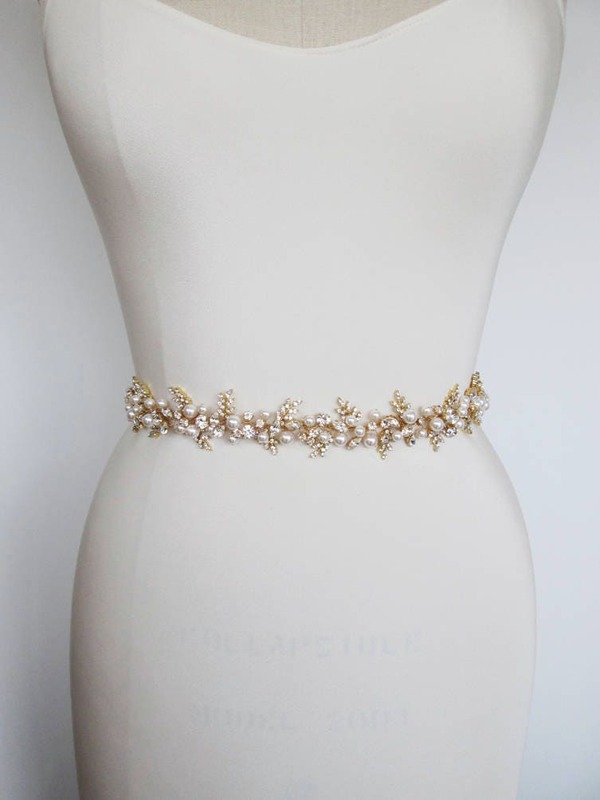 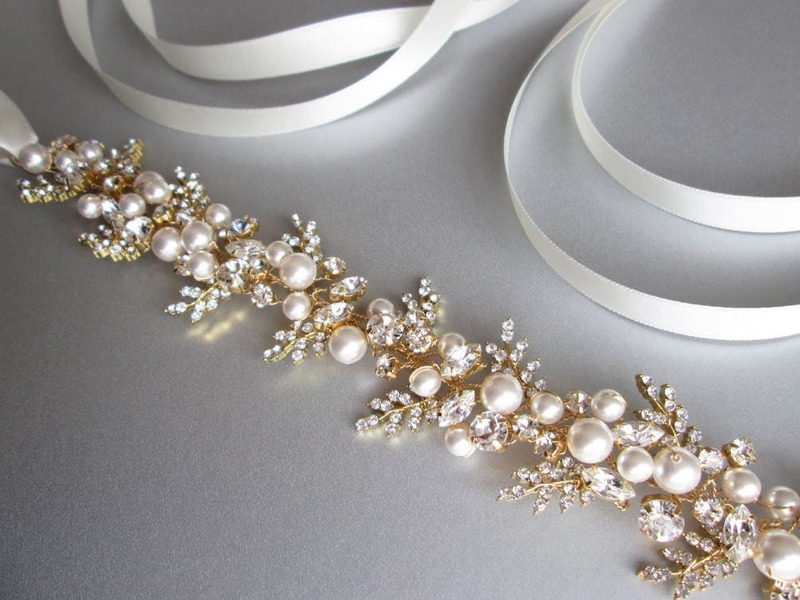 This belt is made with the finest Swarovski crystals and pearls neatly twisted to form this unique floating effect crystal belt. 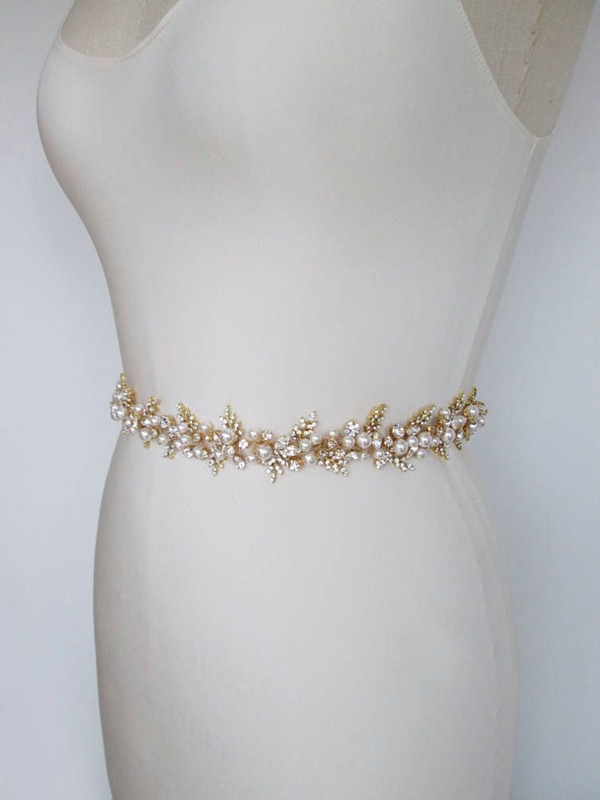 The belt measures 1 1/4" wide and 25" long and is tied in the back with four petite ribbons. 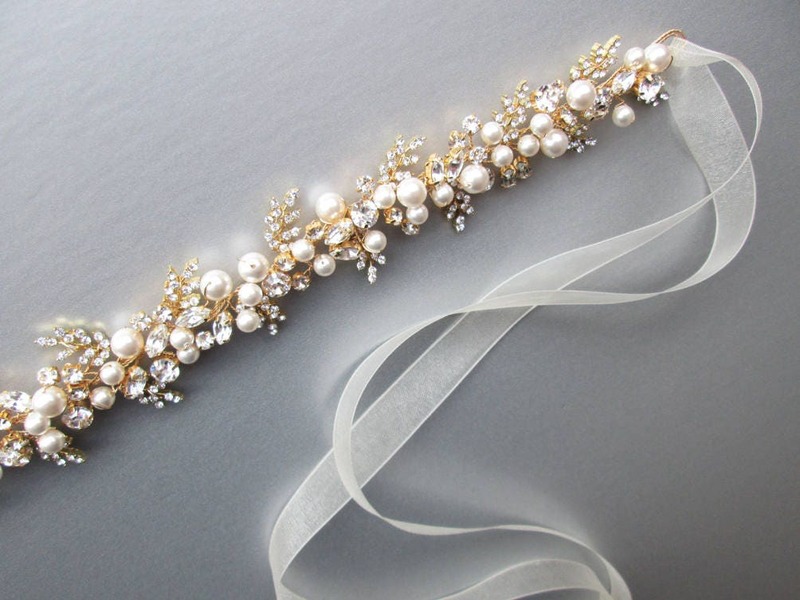 The entire sash with the ribbons measures 150" long. 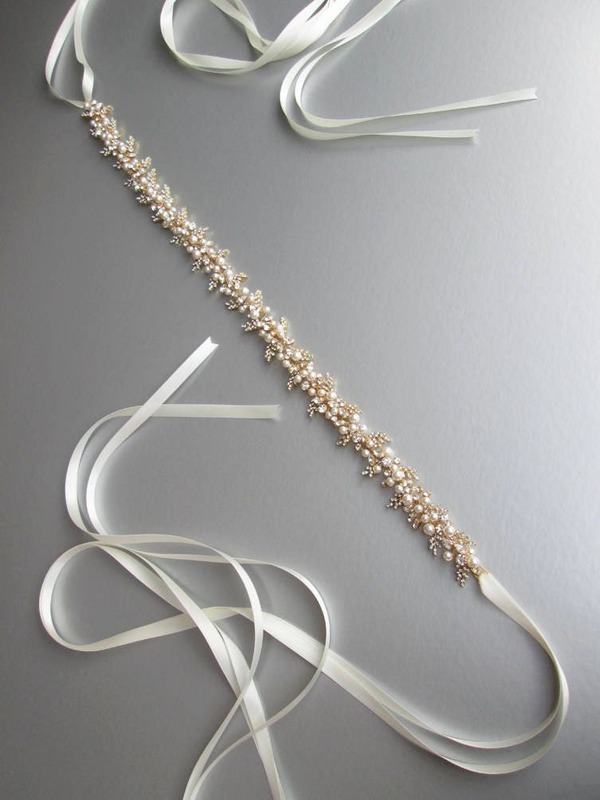 Available in gold, silver or rose fold finish.